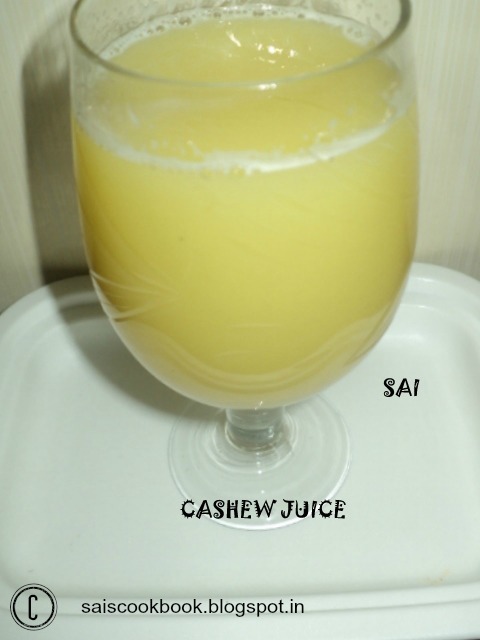 Summer has already hit Mangalore and it is damn hot hot weather here.Truly the heat is unbearable.To beat the heat best is to have home made juice.Cashew fruit is easily available in Mangalore and this batch I prepared this tasty juice.Cashew or Kaju is often found in Kerala,Goa,Karnataka and Maharastra.The tender nut of the fruit is also used which is known as Bibbo in Konkani and is often found during this season…This recipe is of my Mamama’s.She used to prepare this often. 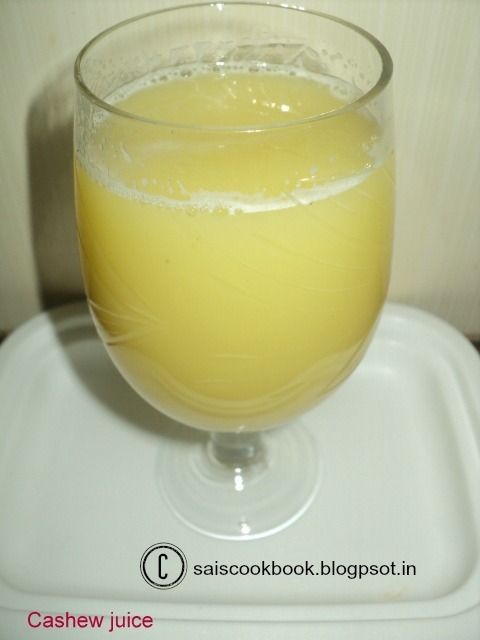 Add all the ingredients in the blender and blend for few minutes. Strain the mixture,add little water if required and serve it chilled.